Today I'm over at my friend Sarah's blog Working Mums Collective with some tips for (not just) working mums to help their kids with homework. 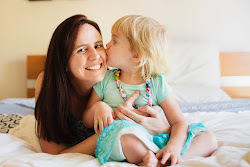 As a working mum you may find it a struggle to sit down with your child when you get home from work and do their reader, sight words, alphabet or whatever it is they need to do each night. It may be late when you all get home, they may have been in after school care, they may just want to play – and you may just need to cook dinner! As Sarah said, maybe you aren’t always there to do the school pick up and chat with the teacher about these kinds of things. So here are a couple of suggestions from me (please note this is just from a teacher’s perspective, I don’t have a school aged child of my own. Thought that should be stated from the get go). 4. Learn from your environment. 6. Most importantly, if the nightly homework ritual is like pulling teeth and stressful for all involved, ask for some advice from your child’s teacher and try some different strategies until you find something that will work for your family. It is so important that children still have time and opportunities to play in their free time after school and that you get to enjoy time together as a family. Read my explanation of these tips here at Working Mums Collective.